The chart below compares the 10-year zero coupon US treasury yield with the 10-year zero coupon inflation swap rate. 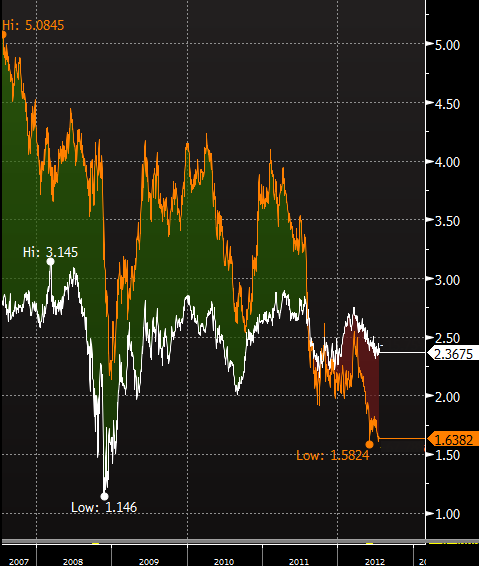 The difference is the implied 10-year zero coupon real rate (h/t Greg Trotter who will be writing a guest post on the topic) - which is becoming increasingly negative. We are not in a stagflation environment yet, but this indicator is certainly starting to point in that direction. 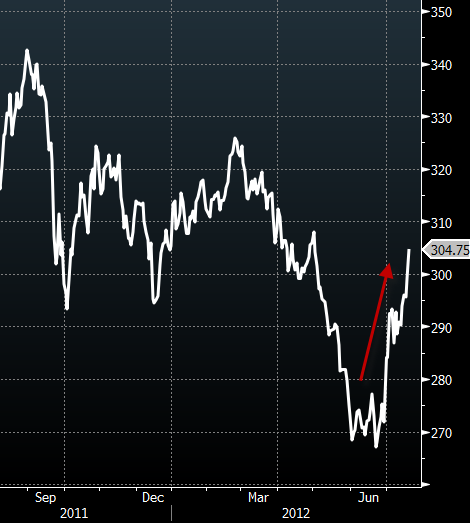 Just to put things on perspective, the CRB Commodity Index broke through 300 today and is now up 14% from the lows. As inflation expectations pick up (due to increasing rents and rising commodity prices), this push into the negative real rate territory is only going to get worse.